1st Propane Franchising, Inc. awards franchises for the establishment, development and operation of a 1st Propane® Franchise, including the right to use the service mark "1st Propane" and associated logos and the 1st Propane® System in the operation of a 1st Propane® unit. 1st Propane® Franchisees provide retail distribution of propane gas in bulk. The initial franchise fee currently charged by us in this state is $30,000. You must deposit $4,000 with us for a grand opening advertising and promotional program. The estimated initial cost to commence operations (including the initial franchise fee) ranges from approximately $248,500 to $652,000. The estimated initial cost to commence operations may vary widely depending on the location, layout, size, local building code and zoning requirements and other factors and may exceed such estimates. The above figures are approximate only and you are urged to read Items 5 through 7 in their entirety for further information. This summary of the initial cost to commence operations does not represent your total costs and makes no provision for capital necessary to reach "break-even" or any other financial position. It does not include ongoing operating expenses or debt service and is supplemented by more detailed information appearing in this Offering Circular, which you should read. TRIAL, AS WELL AS TO^TRIAL BEFORE A JUDGE IN A COURTOF LAW, YOU GENERALLY WAIVE YOUR RIGHT TO APPEAL AN ARBITRATION AWARD (EXCEPT TO A THREE ARBITRATOR APPEAL PANEL) AND MAY BE GIVING UP RIGHTS TO PRE-TRIAL DISCOVERY, AS WELL AS GIVING UP CERTAIN RIGHTS REGARDING CLASS ACTIONS. THE FRANCHISE AGREEMENT ALSO LIMITS THE AMOUNT OF DAMAGES RECOVERABLE BY YOU OR US TO A MAXIMUM TOTAL AMOUNT OF $300,000; REQUIRES YOU TO GIVE US NOTICE OF, AND OPPORTUNITY TO CURE, DEFAULTS BY US; AND PROVIDES FOR A PERIOD OF TIME IN WHICH YOU OR WE CAN BRING CLAIMS WHICH MAY BE SHORTER THAN THAT PROVIDED BY APPLICABLE LAW. 2. THE PURCHASE OF A 1ST PROPANE® FRANCHISE INVOLVES BUSINESS RISKS AND SUCCESS CANNOT BE GUARANTEED. 3. THE POSSIBLE SUCCESS OF YOUR 1ST PROPANE® FRANCHISE MAY BE DEPENDENT ON THE LOCATION OR AREA YOU CHOOSE, THE LOCAL MARKET FOR THE PRODUCTS AND SERVICES OFFERED, COMPETITION AND OTHER FACTORS. THESE FACTORS, ALONG WITH YOUR OWN BUSINESS ABILITY IN OPERATING YOUR 1ST PROPANE® AND THE EXTENT TO WHICH YOU FOLLOW THE 1ST PROPANE® SYSTEM, TOGETHER WITH YOUR FINANCIAL AND OTHER RESOURCES, ARE THE THINGS MOST LIKELY TO DETERMINE YOUR POSSIBLE SUCCESS. 4. THE FRANCHISOR HAS LIMITED FINANCIAL RESOURCES. SEE THE FRANCHISOR'S FINANCIAL STATEMENTS, AND THE ACCOMPANYING AUDITORS' REPORT, FOR ADDITIONAL DETAILS. Registration of this franchise by a state does not mean that the state recommends it or has verified the information in this offering circular. If you learn that anything in this circular is untrue, contact the Federal Trade Commission and the state agency listed in Exhibit G.
otherwise noted on an addendum for your state included in Exhibit I of this Offering Circular. F. HISTORIC OPERATING RESULTS AS REPORTED BY CLIENTS OF NETWORK PROPANE GROUP AND FRANCHISEES OF 1ST PROPANE FRANCHISING, INC.
To simplify the language in this Offering Circular, 1st Propane Franchising, Inc. (the Franchisor) is referred to as "we," "us", "our, "the Company" or "1st Propane." We're a California corporation that was incorporated on October 2, 1997, as 1st Propane Franchising, Inc. Our principal place of business is 14670 Cantova Way, Suite 208, Rancho Murieta, California 95683. Our agent in this state authorized to receive service of process is in Exhibit G.
Effootivc July 10, 2005 wo acquired and ourrontly operate one company ownod 1st Propono®-tffl& in the County of Amador, California fseo Itom 20]. As of June 30, 20052006, we have 40-8 franchisees and one company-owned 1st Propane® unit which is located in the County of Amador, California [see Item 20]. Under each Franchise Agreement, you'll operate a retail business which provides distribution of propane gas in bulk, and certain related and other products and services, including installation of storage tanks, distribution and other facilities. These businesses, referred to in the Franchise Agreement as "1st Propane® Franchises," operate at locations that feature a distinctive format and method of doing business, including color scheme, signs, equipment, layouts, systems, methods, procedures, designs and marketing and advertising standards and formats (the "1st Propane® System" or "System"), any element of which we can modify from time-to-time in our sole and absolute discretion and with which you'll promptly comply. In general, many states require a sales and use tax license, a local business license, and compliance with various government regulations pertaining to the retail propane industry to operate a 1st Propane® Franchise. (See Exhibit D for a list of various regulatory agencies, and a brief discussion of some regulations, in your state. Similar requirements may apply in other states.) You should independently research the need for vou to hold anv licenses, or satisfy any other legal requirements. before vou sign anv binding documents or make anv investments. General regulations associated with operating businesses, including zoning restrictions, may affect your operation of your 1st Propane® Franchise and should also be investigated by you. Of course, you're required to comply with all applicable laws. In order to do business in certain locations, local regulations (related to zoning, hazardous materials storage, etc.) may need to be complied with and you should review those requirements before making any commitments. Your activities as a 1st Propane® Franchisee may require you to comply with state or other contractor's licensing and related requirements and could require you, and/or your personnel, to obtain general contractor's and/or other licenses. Our predecessor is Thacher Financial Group, Inc., (d.b.a. Network Propane Group) and is located at 14670 Cantova Way, Rancho Murieta, California 95683. Thacher Financial Group, Inc. provides financial, accounting and management services to retail propane businesses. Our predecessor does not offer franchises in any line of business. The franchises described in this document are offered only by 1 st Propane Franchising, Inc. You will have a contractual relationship only with us. Thacher Financial Group, Inc. does not have (and will not have) any obligations to you and you may look only to us for performance under the Franchise Agreement and any other documents. 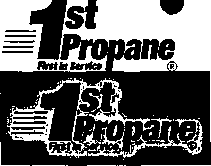 We have been offering 1st Propane® franchises since 1997. We've never offered, and don't currently offer, franchises in any other line of business and we're not engaged in any other line of business. This Offering Circular sets forth the terms and conditions for franchises offered to 1st Propane® Franchisees in this state. We reserve the right to offer other franchises or licenses, in this state or elsewhere, to new Franchisees or existing licensees on entirely different economic and other terms and conditions. This Offering Circular contains a summary of various provisions of the Franchise Agreement, and other documents, in relatively brief language, as required by state and federal law. We've summarized the main features of our program above and further information appears at appropriate points throughout this Offering Circular. Of course, the descriptions in this Offering Circular of various documents and their provisions are for general informational purposes only, in many cases (in the interests of brevity and understandability) only excerpts or summaries of documents are discussed, the actual, provisions of the documents will control in any case and you should read the entire Franchise Agreement, and other documents, for more complete information. A 1st Propane® Franchise (like any other enterprise) involves business risks. Your volume, profit and success are primarily dependent on your ability and efforts as an independent business operator, and success can't be guaranteed. You'll be responsible for an aggressive, proactive local marketing effort using the techniques and methods of the 1st Propane® System. Mr. Thacher began his career in the propane industry in 1970, and was employed in several management and executive positions in the industry until 1990. Mr. Thacher founded the Thacher Financial Group, Inc. (d.b.a. Network Propane Group) in 1990 which is now located in Rancho Murieta, California. He continues to serve as President and CEO of Thacher Financial Group, Inc., and is responsible for developing all of the systems for the start-up and financing of new propane dealers. Mr. Thacher became our President upon our inception in 1997. Mr. Thacher also acts as a financial consultant to retail propane dealers and as an expert witness in propane business-related legal matters. Mr. Collins joined the propane industry in 1974 as a Mechanical Engineer for the California Liquid Gas Corporation (Cal-Gas). Between 1974 and 1990, he held several positions with Cal-Gas and it's subsequent owner, Amerigas and its subsidiaries, including Director of Operations Support and Manager of Terminals. From 1990 until 1994, he was the Western Regional Manager for Ely Energy, Inc., based in Rancho Murieta, California. Beginning in 1994, until December, 1997, Mr. Collins was Vice President for Cal-Pac Energy, Inc., a propane and natural gas construction firm located in Rancho Murieta, California. Mr. Collins assumed his position as our Vice President of Operations in December 1997. Mr. Collins is responsible for the development and operation of the 1st Propane franchise training program, as well as franchise technical services and safety programs, code and regulatory compliance. Mrs. Thacher has worked for us since our inception in 1997, and has worked for Thacher Financial Group, Inc. in a similar capacity since its founding in 1990. She is responsible for all data collection and other communications with the dealers, in addition to her role in corporate management. Mr. Hankins was elected to the Board of Directors in February 2000. He has been the owner and President.of Propane Ventures, in Ft. Worth, Texas, since July 1989. Ms. Hoboy was elected to the Board of Directors in February 2000. Since 1990, she has operated a business investment and consulting business in Anacortes, Washington. Mr. Smith was elected to the Board of Directors in February 2000. He has been the owner and Presidont of Petrosol International, Inc., located in Spokane, Washington, since 1974. From July 1974 to June 2006, he was President of Petrosol. In July 2006, he became CEO of Petrosol. Petrosol is a major wholesale propane supplier in the northern tier of the United States. We do not at this time, but reserve the right to employ various franchise brokers in different parts of the United States to assist us in identifying qualified franchise applicants. A list of these franchise brokers is attached as Exhibit I. There is no litigation that is required to be disclosed in the Offering Circular. The Initial Franchise Fee currently charged by us, in this state and for the franchise covering your location, is $30,000. The Initial Franchise Fee is due and payable on signing the Franchise Agreement. On signing the Franchise Agreement, you must deposit $4,000 with us, which we will disburse, for a grand opening advertising and promotional program covering your 1st Propane® Franchise, beginning approximately 14 days before, and continuing for approximately 28 days after, the opening of your 1st Propane® Franchise. No part of the Initial Franchise Fee, or any other amounts paid to us or any affiliate, are refundable. If we, in our sole and absolute discretion, determine that you (or a managing partner or shareholder consented to by us) or your manager has not successfully completed (or are not making satisfactory progress in) your initial training, we may cancel all of your rights (and all of our obligations) under the Franchise Agreement and/or any other agreements with you. You will return all manuals and you (and each affiliate of yours) will execute documentation providing for a general release, in a form prescribed by us, of any and all claims, liabilities and/or obligations, of any nature whatsoever, however arising, known or unknown, against us and/or any or all of the Franchisor-Related Entities and we will provide you with a similar release, except that your indemnity, confidentiality obligations, and the dispute avoidance and resolution provisions of the Franchise Agreement, including those of Article 19, together with the provisions of Article 21, will be preserved. 6% of Gross Volume for the first $500,000 annually. Amounts due by 5:00pm every Wednesday of each calendar week for preceding week. Gross Volume includes all revenue from the franchise location. Gross Volume does not include sales tax or fuel tax. Amounts due each calendar week. Subject to inflation adjustment. Adjusted annually in proportion to the Consumer Price Index. Maximum legal interest (not to exceed 1.5% per month), $50 late or dishonored check fee plus $20 per day after 10 days for late reports and/or payments. The late fee and check charge apply to each report form and each late payment received 10 days past the due date. Paid to 1st Propane Franchising, Inc. If you fail to submit reports or you understate Gross Volume by 2% or more. If we require your phone listing to be in our name, and billings are sent to us. If transfer to corporation is made within 90 days of 8 signing the Franchise J Agreement, transfer fee is j $500. If we operate the business on your behalf, we can pay ourselves for our management services and other costs. We may pay these fees and costs from the Marketing Fund. Deducted from funds of your Businesses. Expenses include compensation, other costs, travel and living expenses of appointed manager. (1) All fees which are collected by and/or payable to us are non-refundable. (5) All amounts bear interest at the highest applicable legal rate for open account business credit, but not to exceed 1.5% per month. (6) You are required to use accounting software which is provided by us. See Items 8 and 9 for additional information. coverage we may obtain insurance on your behalf and you will reimburse us. Equipment Company or leasing company. Motels, Restaurants, airlines, car rentals, etc. Note: All amounts are non-refundable. (1) The initial franchise fee to purchase a 1st Propane Franchise is $30,000. No portion of the franchise fee is refundable. We do not offer any direct or indirect financing to franchisees for the initial franchise fee. Please see Item 10 regarding equipment financing. (2) You must deposit $4,000 with us, which we will disburse for a grand opening advertising and promotional program covering your 1st Propane® Franchise, beginning approximately 14 days before, and continuing for approximately 28 days after, the opening of your 1st Propane® Franchise. The advertising and promotional program will utilize marketing and public relations programs and media and advertising materials as selected by us. We'll furnish additional advice and guidance to you with respect to your grand opening advertising and promotional program. (3) See Section 10.7 of the Franchise Agreement for information on types of insurance (and limits) you have to obtain. We also recommend, but do not require, Life Insurance (necessary to cover liabilities), Business Interruption Insurance and Disability Insurance. Amounts shown are estimates for the first 3 months. Total cost for the first year may exceed $20,000. (4) This is not a business that relies on walk-in traffic or requires typical retail-type space. Real estate needs fall into 3 categories, which are discussed below. These 3 categories can all be in the same location but it is not necessary to have them in the same location, and it is not always desirable. A) Propane storage location - You must locate on industrial-zoned land that can be used for storing hazardous materials. A special use or conditional use permit (along with other permits and licenses) is typically necessary for this kind of storage. A lease location for this storage is acceptable. Monthly lease costs of this location are expected to range from $200 to $800. B) Yard location - This is where the tank truck and service truck are parked and where customer tanks awaiting placement are stored. Again, a special use or conditional use permit (along with other permits and licenses) may be necessary for this kind of use. You will also need secure storage for parts on this site. Monthly rental costs are expected to range from $200 to $500. Purchase costs for this type of real estate can range widely and are not anticipated in this analysis because purchase is not generally necessary. C) Office space - This may be the same location as the yard or storage location, but it is not necessary. The office can be located in a strip center, or you can share office space with a complementary business (such as plumbing supply, feed store, service station, etc.) You may also operate the office out of your home. Monthly rental costs are expected to range from $200 to $500. Purchase costs for this type of real estate can range widely and are not anticipated in this analysis because purchase is not generally necessary. (5) Propane Bulk Storage - The use of a leased, or temporary, location for the placement of a storage tank of 12,000 to 30,000 gallons in size is adequate. The range of costs for the installation of a propane storage tank can be from $5,000 (for a site requiring minimal improvements upon which you install a rented portable storage tank), and $167,500 (for a fully developed one-acre site, excluding buildings, upon which you install a permanent propane storage). marketing and general business skills, local economic conditions, the local market for your business, competition, local cost factors and the sales levels achieved by you. This is only an estimate, however, and there is no guarantee that the amounts specified will be adequate or that additional investment by you will not be necessary during the three months of initial operation or afterwards. We do not furnish or authorize our salespersons or any other persons or entities to furnish estimates or otherwise as to the capital or other reserve funds necessary to reach "break-even" or any other financial position nor should you rely on any such estimates. The 3-month period from beginning business covers the time by which most Franchisees are fully in operation but does not necessarily mean that you will have reached "breakeven", "positive cash flow", or any other financial position by that time. In addition, the estimates presented relate only to costs associated with the franchised business and do not cover any personal, "living" or other expenses you may have. In addition, you may very well need to invest (or have access to) significant additional amounts in connection with the operation and possible growth of the franchised business, including (among other things) for purchases/leases of domestic propane tanks, storage tanks, other operating equipment and/or otherwise. Although your business may be through its Initial phase" by 3 months, you should not expect it to have reached "break-even" or any other financial level by that time and you may need startup capital (exclusive of franchise fee) of $100,000 or more. The business may have negative cash flow for the first year or longer. There's no assurance that further funds will not be needed, and the actual needs of the business are highly variable and subject to factors beyond our control, such as location and your managerial ability, among others. We've based this estimate of "additional funds" on our experience with our franchisees. You should carefully consider these possible additional capital needs before making any investment or signing any binding documents. See Item 10 for related information. (9) All of the above figures are estimates and we cannot guarantee you will not have additional expenses in starting your 1st Propane® business. Your costs will vary depending on such factors as: how much you follow 1st propane® systems and procedures; your management and marketing skill, experience and general business ability; the size and location of your facility; whether the facility will be required to be adapted or refurbished and other conversion costs, local and general economic conditions including disposable income; the local market for 1st Propane services; levels of competition; prevailing wage rates and the sales levels reached by you during the initial period. Miscellaneous costs to begin operations and other financial requirements may be more or less than the figures specified above, as a function of the size of business (number of staff, anticipated volume of business, etc.) which you intend to operate and other factors, some of which are mentioned above. Many of these factors are primarily under your control in your independent operation of the business. No provision has been made for capital or other reserve funds necessary for you to reach "break-even" or any other financial position nor do any of these estimates include any finance charges, interest or debt service obligations. You should review these figures carefully with a business advisor (such as an accountant) before making any decision to purchase the franchise. Since costs can vary with each Franchisee (particularly if you're purchasing an existing 1st Propane Franchise), it is strongly recommended that you (1) obtain, before purchasing a franchise or making any other expenditures or commitments, independent estimates from third-party vendors and your accountant of the costs which would apply to your proposed establishment and continued operation of a 1st Propane Franchise, (2) discuss with past and current 1st Propane Franchisees their economic experiences (including initial costs) in opening and operating a 1st Propane Franchise and (3) carefully evaluate the adequacy of your total financial reserves. sufficient personal savings and/or income so that you will be self-sufficient and need not draw funds from the franchised business for at least six months after start-up. We may designate a single supplier or limited number of suppliers, may designate a supplier only as to certain items and may concentrate purchases with one or more suppliers to obtain lower prices, advertising support and/or other benefits in our sole and absolute discretion. Specification of a supplier may be conditioned on requirements relating to frequency of delivery, standards of service, including prompt attention to complaints, or other criteria, and may be temporary, pending a further evaluation of such supplier by us, in each case in our sole and absolute discretion. Franchisee, on a case-by-case basis. When we develop specifications and standards, we're pleased to share them with our Franchisees, on a confidential basis. We will, occasionally and as we reasonably determine, upgrade, improve and make available equipment, literature and manuals as necessary and advisable for the benefit of 1st Propane® Franchisees generally. We welcome suggestions from you. Each idea will be given consideration and information regarding these will be made available to all franchises if found to be beneficial to the 1st Propane® System. The proprietary software "PLATO" is only available to you through us. Your portable handheld computers, and truck ticket printers are available only on a rental basis through us. You must purchase from us or our approved vendors, designated 1st Propane uniforms; hats; stationery and specified decals, labels and logos bearing the 1st Propane® name. These items must be used in accordance with 1st Propane regulations and are available only through us or our authorized suppliers. or leases by franchisees from us was $8,855-0- which represents 20% of our total revenues. The amounts were derived from our statement of operations and include situations where we purchase equipment and other supplies and resell the items to you. It is extremely difficult to reliably estimate the proportion of the cost of rental of the computer and other systems and software programs to all purchases and leases by you of goods and services in establishing and operating your 1st Propane® Franchise. We don't have any formal purchasing or distribution cooperatives. We may (but can't guarantee that we will) negotiate purchase arrangements with suppliers (including price terms) for the benefit of 1st Propane Franchises. We don't condition providing benefits (such as the award of a successor or additional franchise) on use of designated or approved sources. However, failure to use approved items and suppliers might, like other matters, be a default under the Franchise Agreement and, in general, any Franchisee in default would not be awarded a successor or additional franchise and might even be subject to termination. There are no formal or mandatory purchasing or distribution cooperatives in the 1st Propane® System, although our Franchisees may get together to purchase various items on a voluntary basis. Except as listed below, we need not provide any assistance to you. Please note that the following list is only of the items we're legally obligated to provide you and that we may provide additional items on a voluntary (but not legally-required) basis. | of the Manual is attached to this Offering Circular as Exhibit C. The Manual contains a total of 486 pages. (d) establishing and conducting employee training programs at your 1st Propane® Franchise. We will keep track of your payroll tax withholding and prepare monthly and quarterly payroll tax reports, forwarding the reports to you for your signature and payment. We will keep track of your sales tax and fuel tax collections and payment obligations, forwarding the reports to you for your signature and payment. We will process certain other tax reports and forms for you, including, but not limited to, property tax reports and end of year payroll tax reports and employee W-2's, but we will not prepare or otherwise be involved with tax reports concerning or related to income taxes, VAT, GST or similar taxes. All obligations (including payment) and liabilities related in any way to your taxes are solely yours and our services are limited to preparing such statements based on information received from you. 5. Manuals. As noted above, we'll loan or make available to you our Manuals while you area franchisee.